It was probably a very poor Lauscha glassblower who could not afford the normal decorations of fruit, nuts and sweets to adorn his Christmas tree. So, he ingeniously formed simple hollow shapes over his oil lamp, and then later, in 1847, glassblowers in Lauscha began using molds to create more detailed shapes. This was the moment of birth of glass Christmas tree ornaments that spread from this little village all over the world. 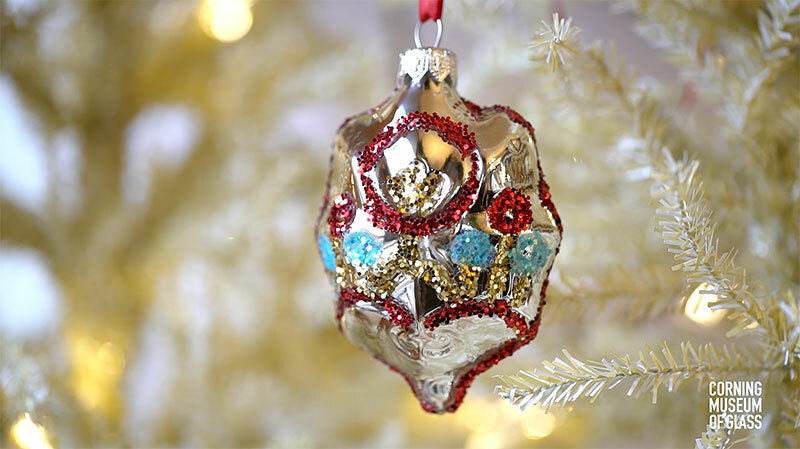 Here's a short video from the Corning Museum of Glass that illustrates how to make a holiday ornament.